SAN FRANCISCO (CN) – A federal judge ruled Monday that the U.S. Environmental Protection Agency did not abdicate its duty or illegally create new rules when it declared some bee-killing pesticides exempt from regulatory requirements. Lead plaintiff Jeff Anderson, a beekeeper who owns honey farms in California and Minnesota, sued the EPA this past January, claiming a guidance document the agency issued in 2013 illegally widened exemptions for pesticide-coated seeds and their resulting dust-off. The beekeepers claim a particularly toxic strain of pesticides known as neonicotinoids has killed hundreds of thousands of bees in recent years, poisoned birds and contaminated large swaths of soil and water. They say the EPA has failed to regulate neonicotinoids in coated seeds and dust-off, even though it is required to under the Federal Insecticide, Fungicide and Rodenticide Act (FIFRA). In a ruling issued Monday, U.S. District Judge William Alsup found guidelines the EPA issued in 2013 for investigating bee deaths did not create a new rule exempting pesticide-coated seeds from regulation, as the plaintiffs claimed. The document, titled “Guidance for Inspecting Alleged Cases of Pesticide-Related Bee Incidents,” states in part that “treated seed (and any resulting dust-off from treated seed)” may be exempt from registration under FIFRA. Van Saun said the EPA has never required registration of pesticide-coated seeds and has “no plans to do so in the future,” despite the harm they cause to bees and the environment. One major hurdle to challenging the EPA’s stance was that the agency never made a clear policy decision on whether or not coated seeds must be registered to comply with the law, van Saun said. Van Saun, an attorney with the Center for Food Safety, said her organization will continue to pursue other avenues to fight the use of harmful pesticides, including persuading companies not to use neonicotinoid seeds or buy products from companies that use those seeds. 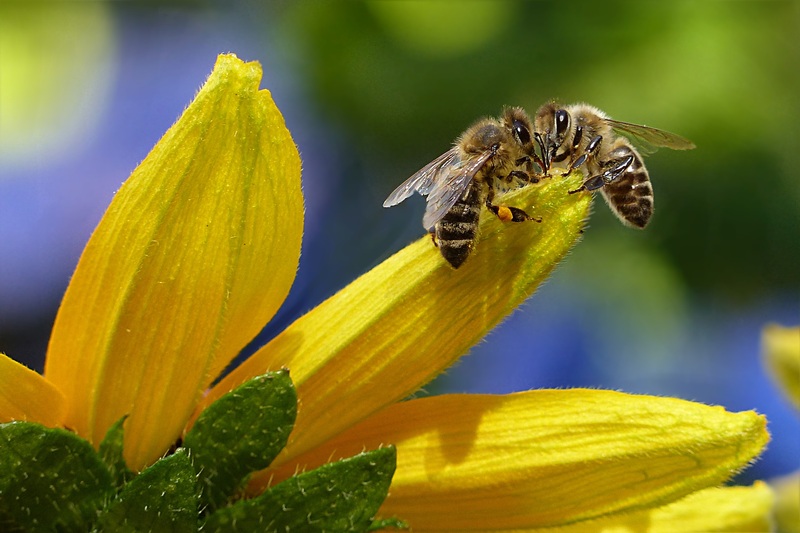 Earlier this year, bee advocates won a small victory when the EPA announced a neonicotinoid called imidacloprid poses a risk to hives when it comes into contact with crops that attract pollinators. The European Commission, the EU’s regulatory and administrative body, placed a two-year moratorium on the use of imidacloprid and two other nenicotinoids in 2015, after researchers found a link between the pesticides and bee deaths. In concluding his ruling, Alsup said while he is sympathetic to the plight of bees and beekeepers, his power to review agency actions does not extend to guidance documents. “Perhaps the EPA should have done more to protect them, but such policy decisions are for the agency to make,” Alsup wrote. Van Saun said the plaintiffs are considering an appeal. EPA spokeswoman Michele Huitric had no immediate comment to offer on the ruling Tuesday morning.